This was a +40 F Process Room where the criteria was a 1 Hour Turnaround from sanitation to production. Unit was flooded ammonia with natural gas fired burners. The unit has a desiccant section designed to provide +20 F dry air to the room. 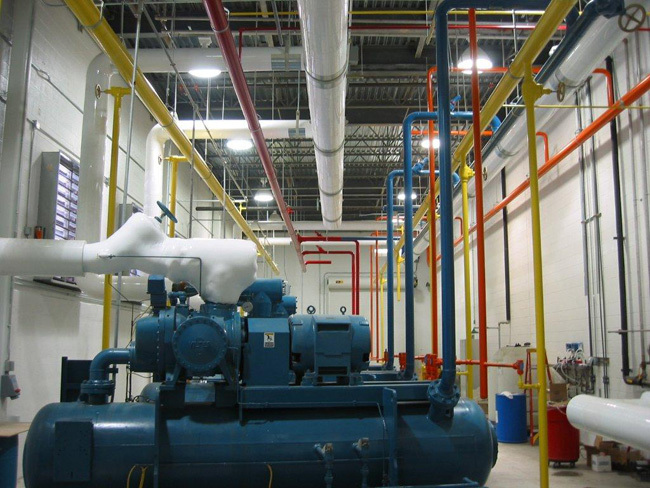 There is a total of three steps of cooling including sanitation, production, and super cool (Post Sanitation). 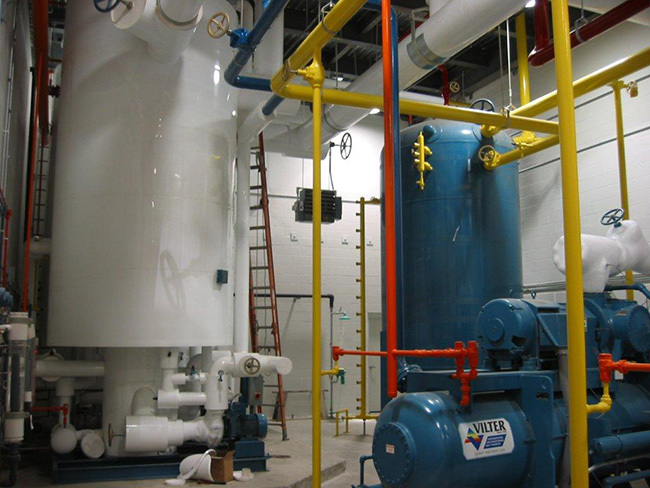 This project included 2 of these type units to meet the needs of the customer. 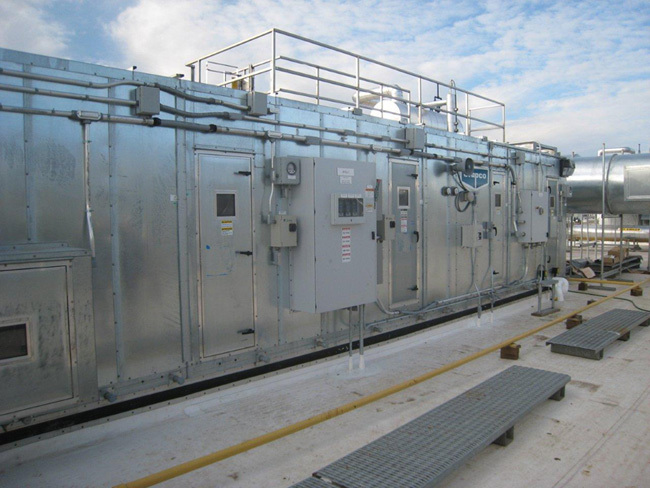 Ductwork was a double wall stainless steel inside galvanized outside with inspection and cleaning openings. Unit sat on a concrete roof curb to aid in ease of access to the equipment. 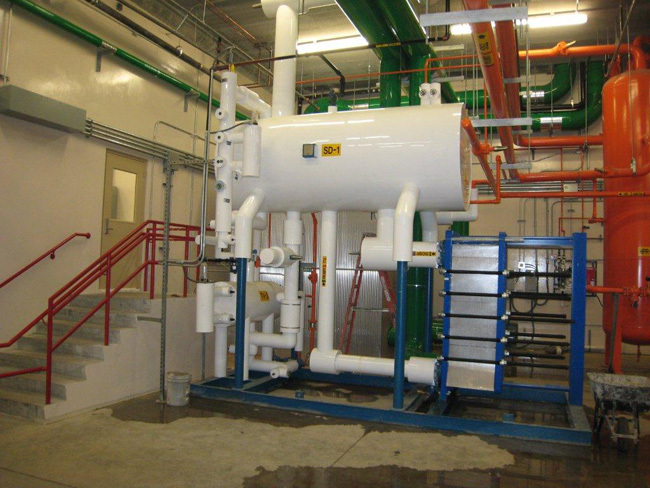 Project Description was a new Bakery with 1500 TR of ammonia refrigeration including a 600TR Glycol Chiller. 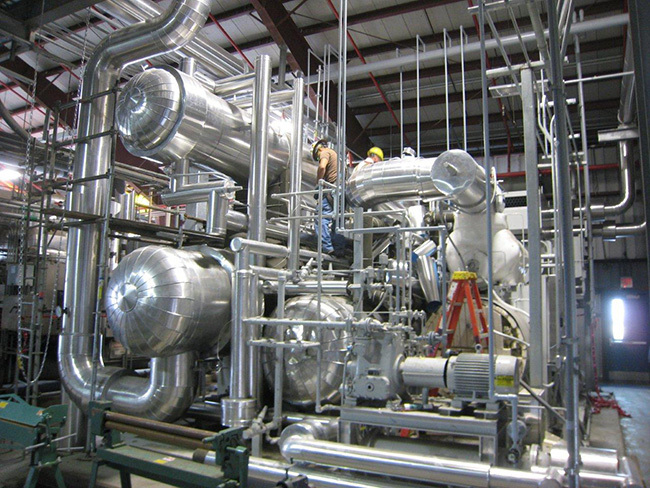 Design included Ammonia Refrigeration System, glycol loops, Process Air Handlers, and PSM. Project included design of addition of 1800 TR of new condensers, steel platform and grating, foundations, pump house, refrigeration, purge, and water piping, equipment procurement, specifications, drawings and project management. 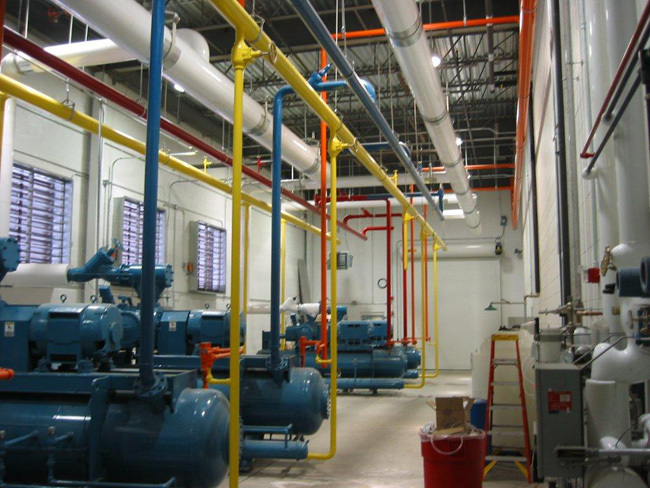 Project consisted of Design and Installation of a 2200 TR Ammonia Refrigeration System including Compressors, condensers, vessels, piping, -45 F and +10 F Pump Packages serving spiral freezers, coolers, holding freezers and under floor warming systems. Scope including coordination of design, installation, and start up. PSM support was provided including operator training. 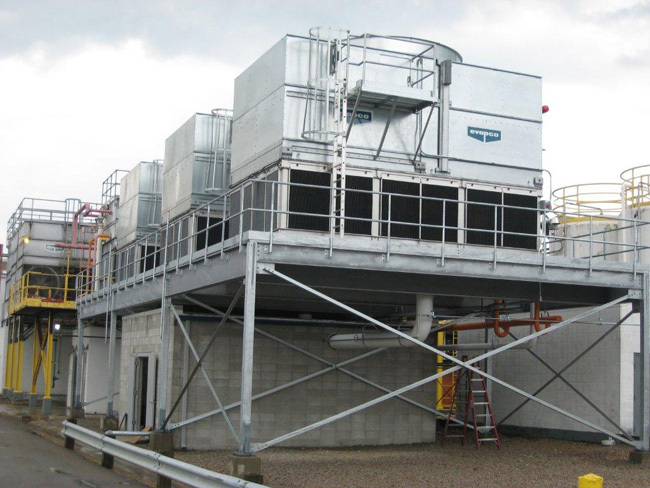 Project consisted of design of 450 TR low temperature ammonia packages to chill Syltherm. Design included profiling loads, operation, reviewing construction, operator training, technical support and safety systems design. 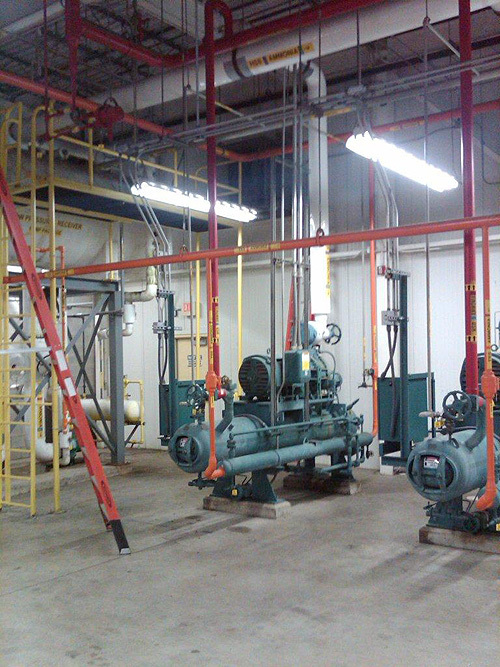 To put our experience in industrial refrigeration engineering to work, contact us at 610.370.9285 or send us an email.